The recently formed Commission for Lasallian Vocations has released its inaugural Bulletin, highlighting its role as an innovative new global network, committed to nurturing Lasallian vocations across many diverse ministries. The Commission is made up of representatives from each of the five Lasallian regions, including our own Pacific Asia region (PARC), the La Salle Sisters and the international Lasallian lay group, Signum Fidei. In its inaugural bulletin, the new Commission calls on all Lasallians to take personal responsibility for nurturing vocations, whether to religious life or to the mission of Young Lasallian, Lasallian educator, welfare worker or youth minister. It features personal stories, capturing the rich cultural and religious diversity of the global Lasallian Family, including that of 18 year old Ms Dilasha Gamage, a Buddhist Young Lasallian in Sri Lanka who speaks about her commitment to serving the marginalised through her work as a Lasallian teacher. 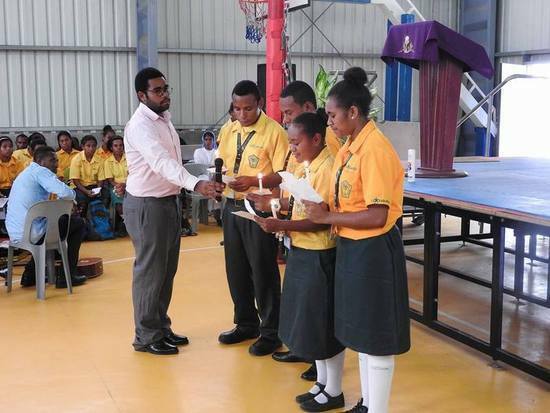 "I am a Lasallian at heart, because I learned that being a Lasallian is not based on religion, colour, race or culture, but based on who I am and on my capacity to let the greater good shine through me", Dilasha writes. "I'm really proud being a Young Lasallian, inspired by the teachings of St De La Salle, to be able to think of the others' needs, spending some time teaching and touching the hearts of the poor and marginalised children", she added. The bulletin also calls for stronger use of social media to promote Lasallian vocations and the importance of emphasising voluntary service programs with the poor and the marginalised as a way of nurturing vocations in young people. The International Coordinator for Young Lasallians, Mr Antoine Beland also writes in the bulletin on the importance of accompanying fellow Lasallians in their discernment process, whether they are called to be a Lasallian educator, a De La Salle Brother or a La Salle Sister. "It also means vocation ministry should focus on supporting the Lasallian vocation in all its forms, whether religious or not", Antoine writes. "Thus, we can hope that each young person entrusted to us can find meaning in his or her life within the Lasallian Family".